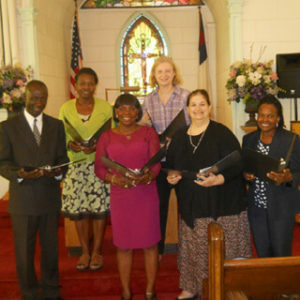 Our choir is small but committed to worshipping the Lord through song. The Gregor chorale performs regularly on Sundays during Worship throughout the year, except during the summer when individual or small group selections of music are offered by members of the congregation. Our choir leader is our organist, Valeda Bell. Rehearsals are held regularly after Worship on Sunday afternoons, and at additional times when necessary for special events or programs. The Gregor Chorale is for adults, and anyone willing to contribute their voice to praising the Lord is welcome.